Wild bees hold a very special relationship with their biotope. They are autonomous insects that, other than the regular honeybee, depend upon one specific plant species in terms of their food supply. 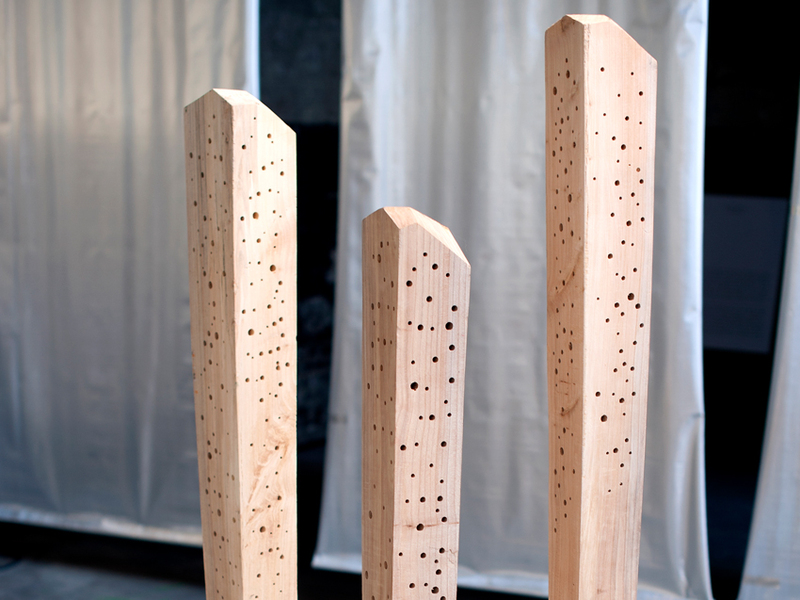 The Wood Crystals offer wild bees a burrow to nest and a way survive within the urban environment.